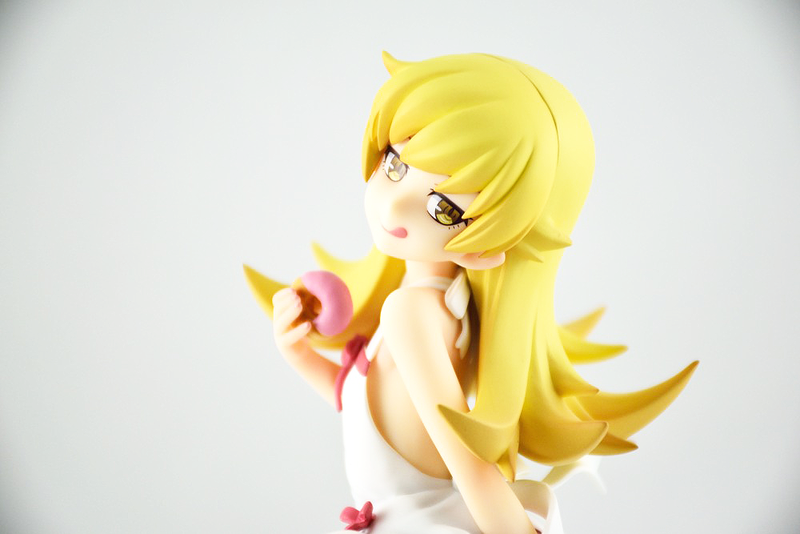 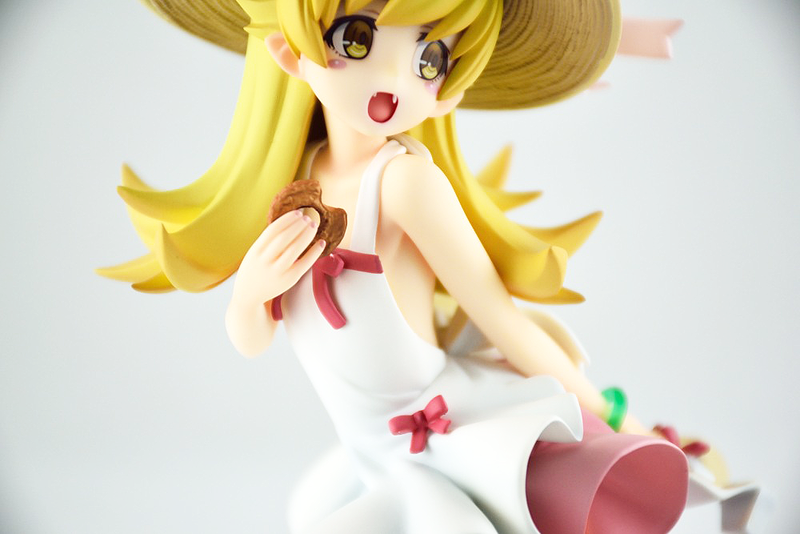 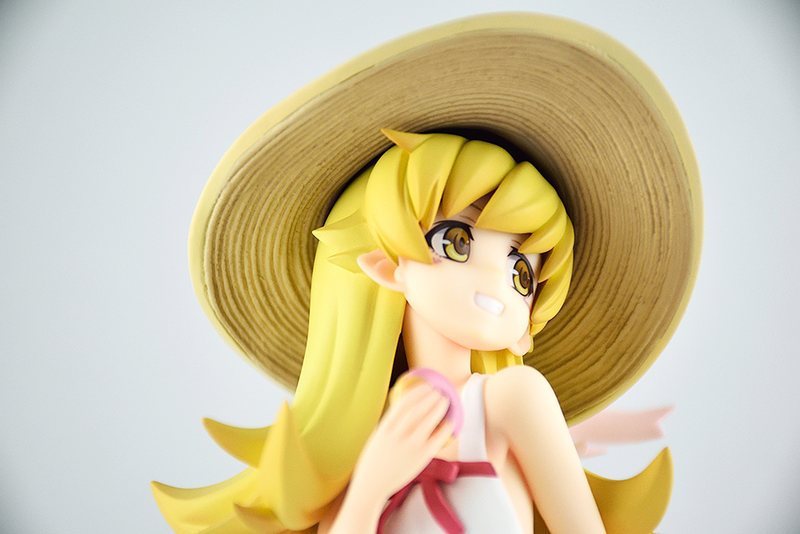 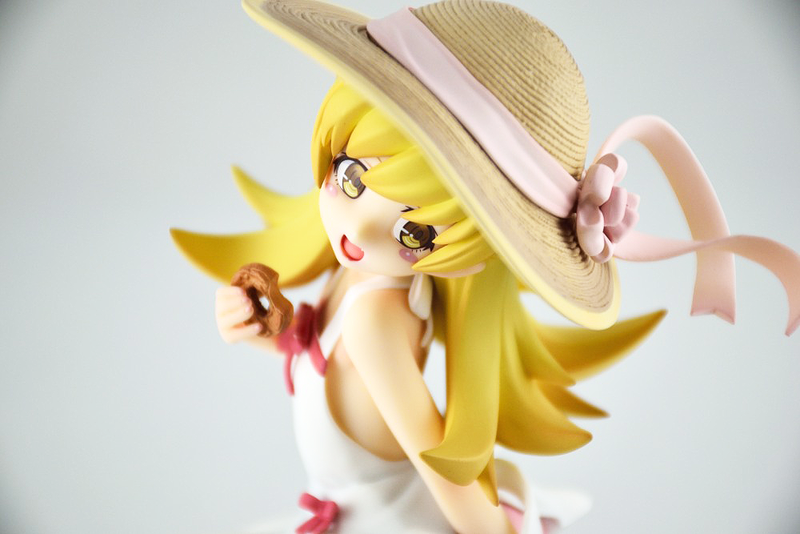 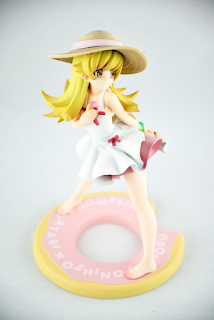 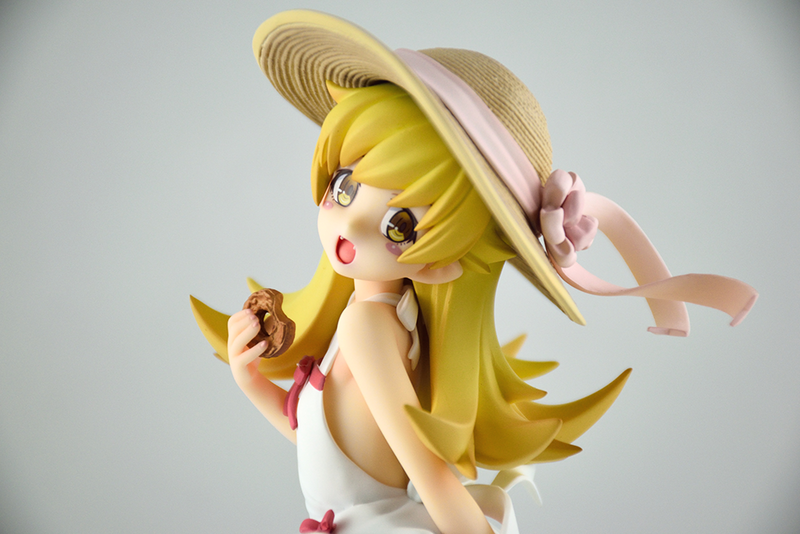 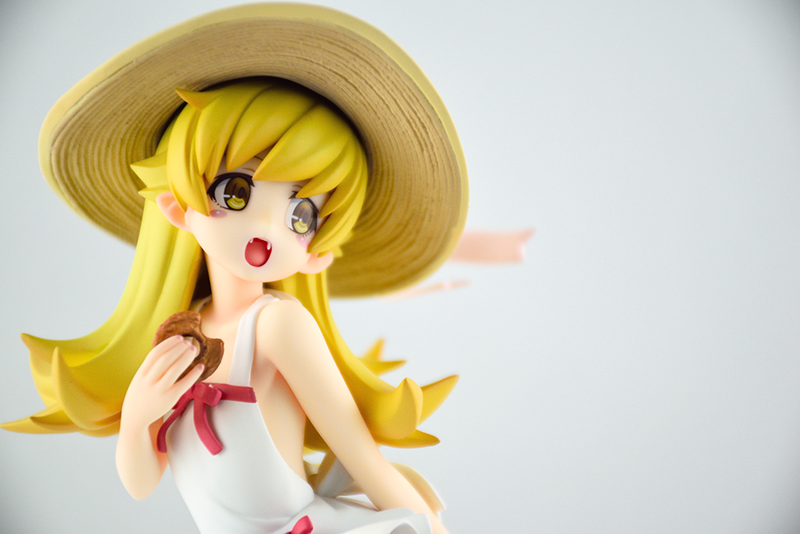 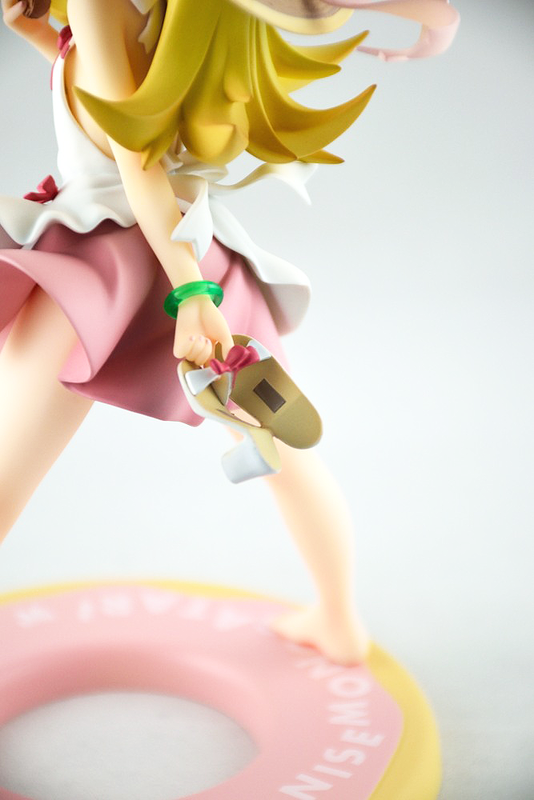 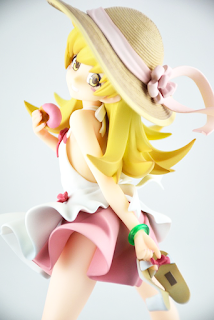 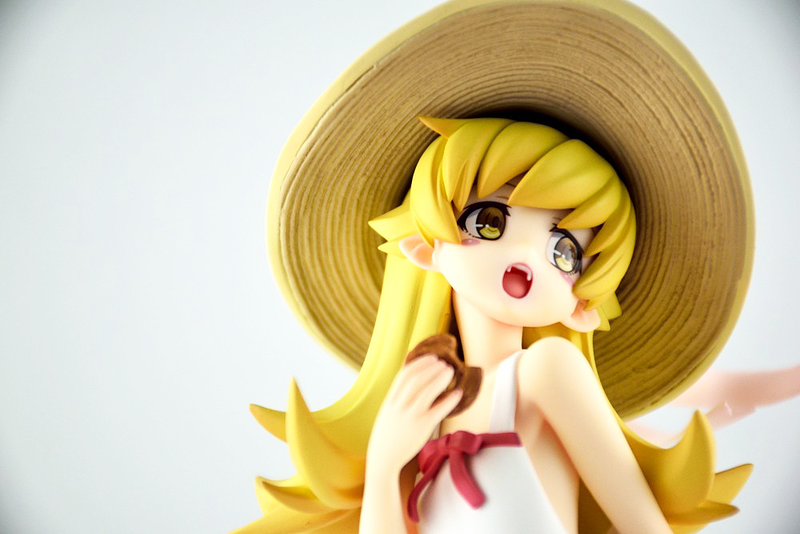 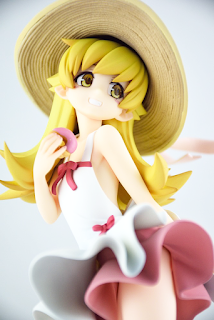 ALTER Nisemonogatari - Shinobu Oshino 1/8 Complete Figure Review! Late last year Kotobukiya have released an exclusive version of this little vampire from same Nisemonogatari series. Fast forward couple months and ALTER decides to challenge and release their own version also. Here we have the ALTER version and what a beautiful figure this is! 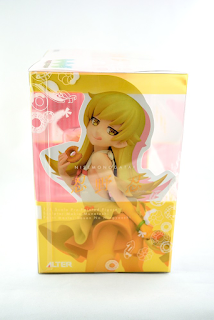 The figure comes in clear see through box with all the accessories displayed. 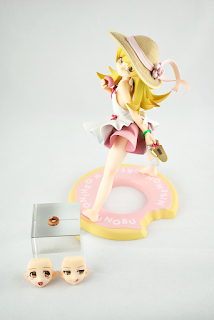 The 2 sides and the back shows each of the alternate faceplates available along with alternate donut. 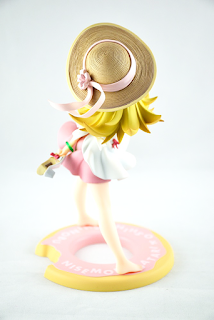 The details from top to bottom of base is great especially the straw hat and the pink ribbon on it. The eyes are really beautiful and well painted looking exactly like the TV show. The 2 donuts are also very detailed and actually looks delicious and just like the ones they server at Mr. Donuts in Japan! 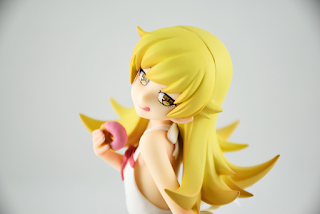 Excellent choice on the posing and choice of alternate facial expressions as this is from Nisemonogatari and not Bakemonogatari. In the series she is shown very active even during sunny day time and not afraid to show her addiction towards donuts so ALTER really nailed it. 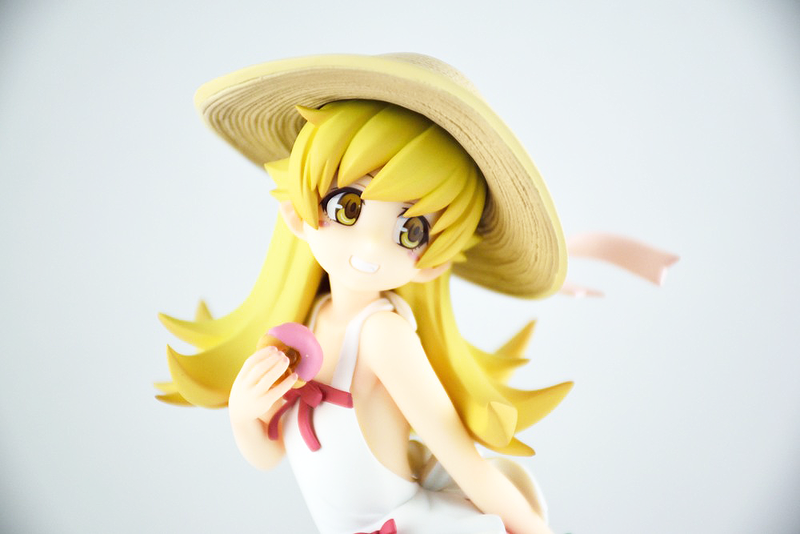 Unfortunately I don't have the Kotobukiya version so I'm unable to compare but I can say having this figure in hand, it's pretty amazing and for any fans of the series or fans of Shinobu in general, this is a must, at least for Nisemonogatari series! Next up is Kizumonogatari and so far we have the Kiss-Shot Acerola Orion Heart Under Blade version in Pre-Order status. 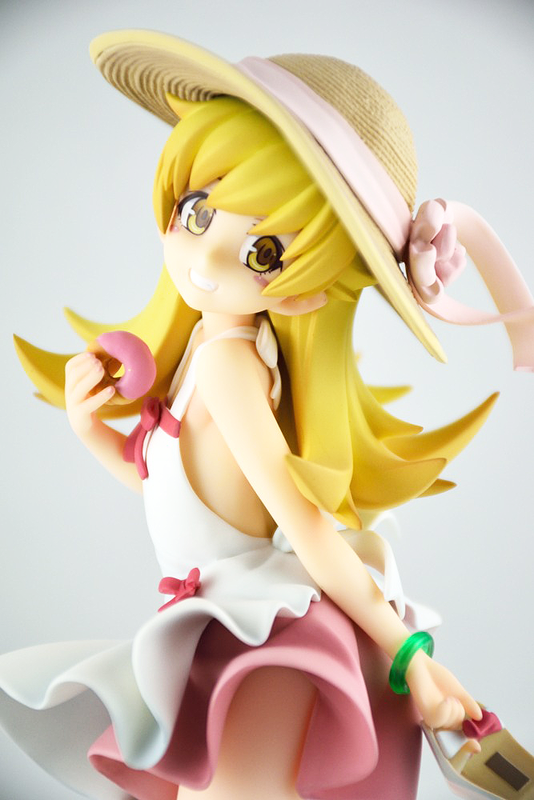 Let's see if we can have other versions of the infamous vampire figure from the exciting series also! 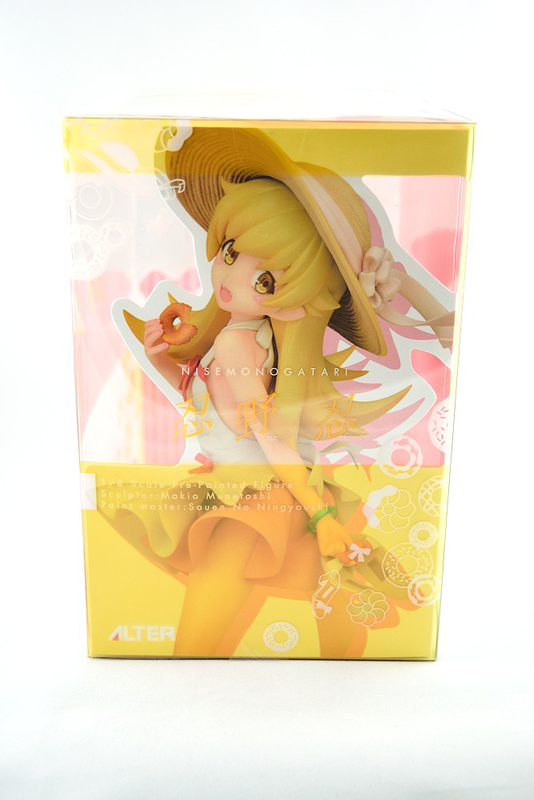 For anyone still looking for this version by ALTER see below links to get yours too!